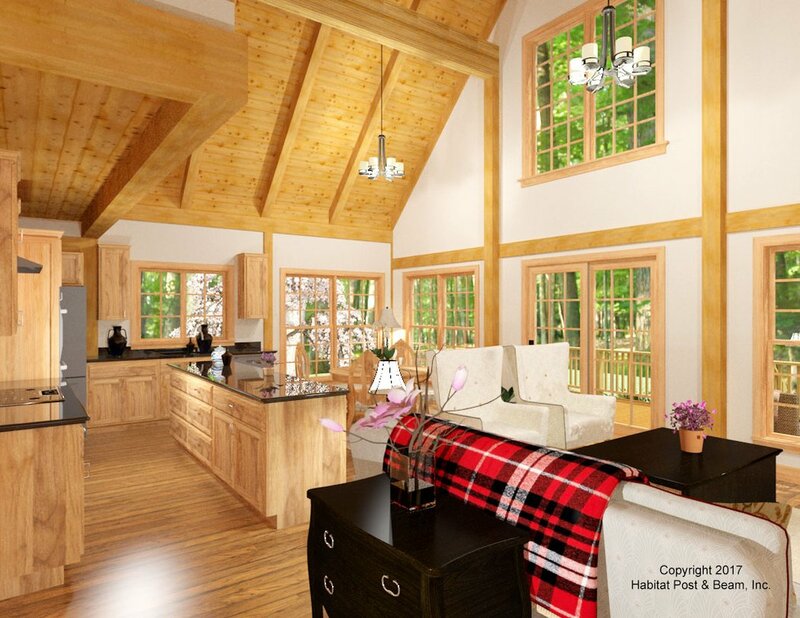 Here is a rustic cape with our Full Exposure Wall Framing System www.postandbeam.com/wall-framing-system and Beamed Roof System throughout www.postandbeam.com/roof-framing-system, to be built in southwestern Connecticut. At about 1290 sq. ft., all main-level living is possible as the master bedroom suite is on the first floor left side. Areas with a flat ceiling above use the Beamed Mid-Floor System www.postandbeam.com/floor-framing-system. To the right side of the main level is the kitchen, living and dining area with a beamed cathedral ceiling, and the center section houses a half-bath, closet, laundry, and hallway. Upstairs are two additional bedrooms, a bath, and a loft that looks down onto the living area below. The entire 705 sq. ft. upper level has a beamed cathedral ceiling. Note - these renderings are just the first ideas for our client's project. The actual home that is built is a result of subsequent plan modifications, and may differ from these original plans. 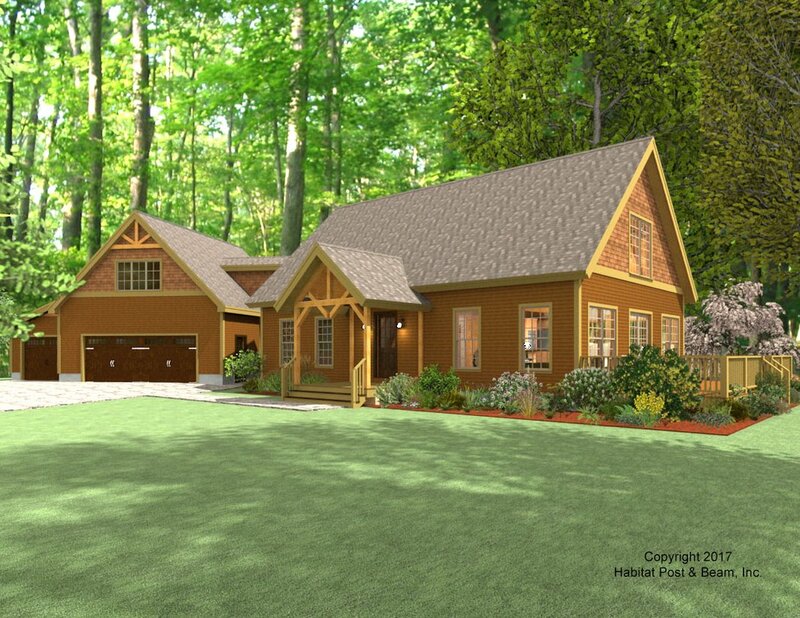 Package Price: $146,500 as specified below (from $129,500 to $166,000 depending on framing options). The standard price includes our Beamed Wall System, Plaster and Beam or Beamed Mid-Floor System (same package price), our Beamed Roof System over the great room and loft, and our Plaster and Accent Beam Roof System over the upper bedrooms and bath #1. The entry porch is our Liner Porch System with a cathedral ceiling. The garage and connector are not included in the above pricing.